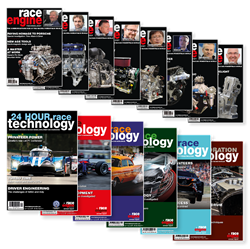 This is the ultimate introduction to Race Engine Technology - a 1 year subscription with upto 33% OFF along with the last year's worth of back issues with 50% OFF their usual price. What better way to start your RET subscription than with the last year's worth of issues? Sure to keep every race engine enthusiast amused for some time! We publish 8 issues a year therefore you will receive the last 8 issues immediately and the next 8 issues over the next year. Save money by setting your subscription to automatically renew! As this is a hamper product the automatic renewal will be for a 1 year standard subscription.